Student Government is once again sponsoring a fun afternoon for Rockland and surrounding towns. Children of all ages can walk through the halls and go trick or treating, and the older children can go through the haunted hallway. In the gym there will be face-painting and other fun activities. On the cool, Tuesday morning of October 25, SSG Sean O’Connell was laid to rest after passing away from natural causes on the 15th. O’Connell graduated from Rockland High in 1998 and went on to serve his country. A veteran of Operation Iraqi Freedom and Operation Enduring Freedom-Afghanistan, he was a recipient of the Combat Action Badge. He is survived by his parents John and Susan O’Connell, brothers Michael and Kevin O’Connell and grandson of Patricia Comeau. Though the family was grieving, they were not alone. Stretching from the town hall and making their way all the way up to the Holy Family Church, students and teachers from Rockland Middle School and Rockland High School lined the funeral procession route to show their respect for the late veteran and Rockland native. Students from Rockland High School and Rogers Middle School stood along the funeral procession route on Tuesday morning, Oct. 25 to honor the service and passing of SSG Sean O’Connell, a 1998 RHS graduate. Veritas photos by Jayanna Parham. Student Government Having a Busy Month! 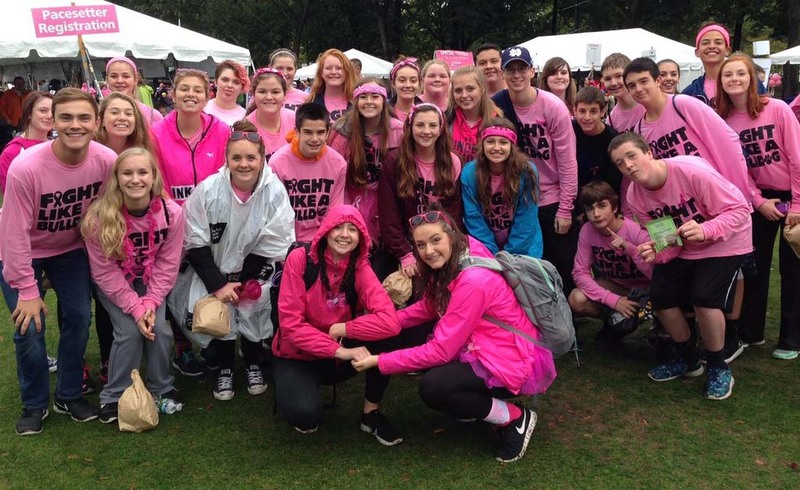 Student government participated in the Making Strides for Breast Cancer Walk on October 2. This event concluded the fundraising drive they organized in September, placing jars in all the classrooms and collecting $1700 for breast cancer. Because they raised that much money, Mr. Finn, Mrs. Shaughnessy, Mrs. Armstrong and Ms. Paulding all dyed their hair pink. SGC also organized Spirit Week and the Mr. Rockland Contest, both big successes, leading up to Homecoming Weekend October 17-18. Ryan Leavitt and Kaylee Patten were selected as Mr. and Miss Rockland this year! Next, the Big 5 and committee chairs represented Rockland at Officer Shop on October 20. 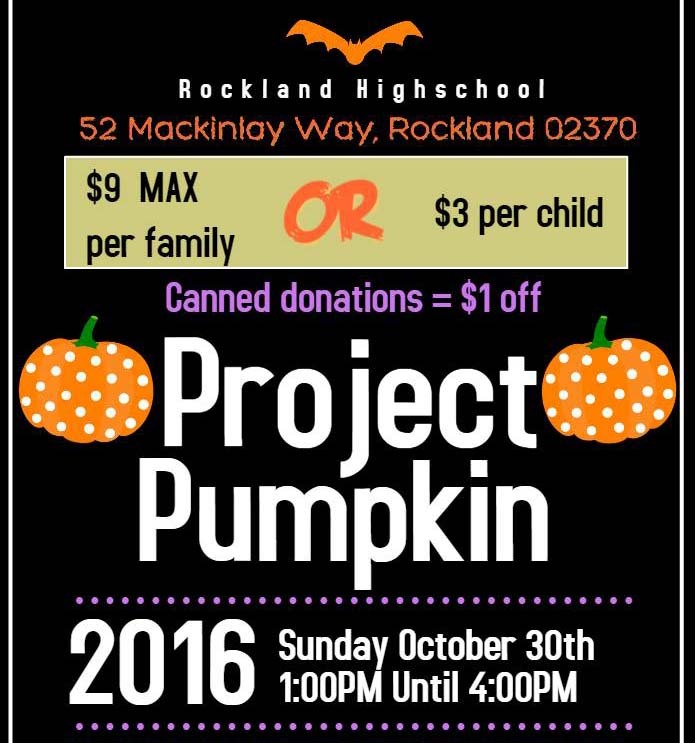 Their next event is hosting Project Pumpkin on October 30th from 1 to 4 pm in the high school. This is a big community event and everyone in SGC is working hard preparing for the day so that all the trick or treaters won’t be disappointed. Click here to see last year’s Project Pumpkin Photo Gallery. 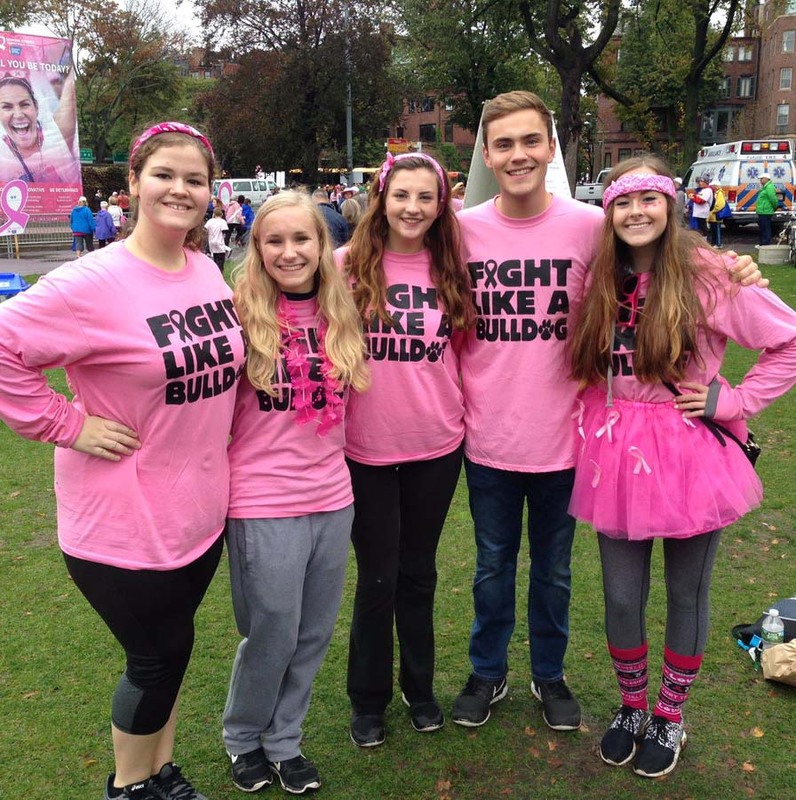 Shannon Lindahl, Julia DeCienzo, Noelle Atkins, Adam Royle and Taylor Gallagher at the Making Strides Walk for Breast Cancer. SGC photo. Good job Student Government Council! 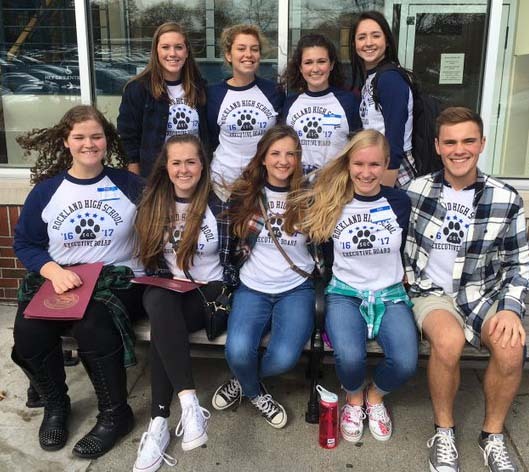 Shannon Lindahl, Taylor Gallagher, Noelle Atkins, Julia DiCienzo, Adam Royle, Jill Donahue, Sydney Wells, Macie Jones and Hannah Murphy. SGC photo. Student Government has a website now along with instagram, and twitter. Check it out for more information. Last Friday the 14, Rockland held its first pep pally of the 2016-2017 school year. From many class roller coaster rides, and cheerleader performances, to numerous toilet paper mummies, everyone had a good time. All the classes had many laughs, sore hands from clapping, and lots of fun at the rally. Below are photos taken by Veritas photographers Maddie Gear and Jayanna Parham. Spirit Week and Homecoming Weekend are now history! Highlights of Spirit Week included the pep rally, the Homecoming game (the Dogs won!) the Homecoming dance and also the crowning of Rockland’s new Mr. and Miss Rockland. Congratulations to Kaylee Patten and Ryan Leavitt who received the honors and to all who participated. Check back to this website in the days ahead to see our photo galleries of Mr. Rockland, Miss Rockland, the pep rally and Spirit Week. 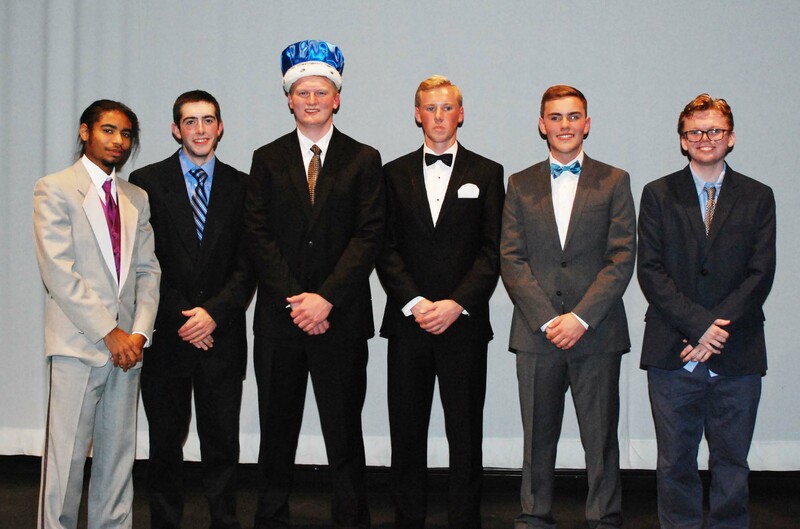 Contestants for the annual Mr. Rockland Competition were seniors left to right: Cornell McWilliams, Leo Field, Ryan Leavitt, Jeff Donahue, Adam Royle and Evan Murphy. 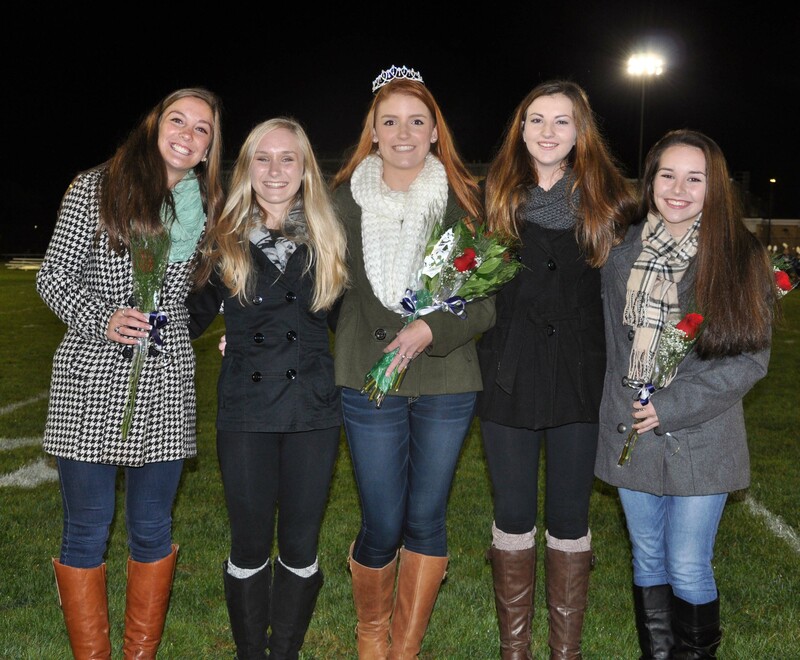 Leavitt was crowned on Wednesday night, Oct. 12. photo by Sophie McLellan.